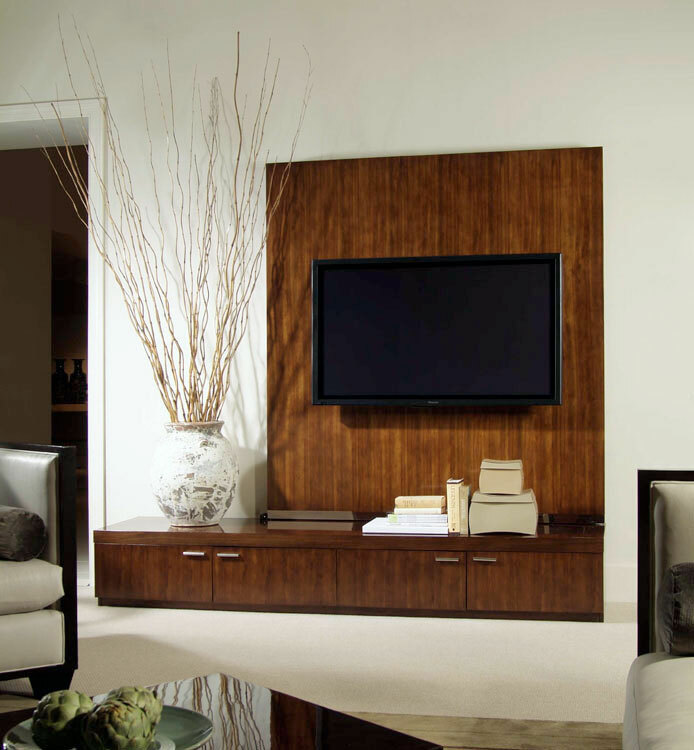 HOW TO MAKE YOUR TV A FOCAL POINT - Design Home Interiors, Mark Little - The best interior design services in Montgomery County and Bucks County and suburbs of Philadelphia. After watching the big game this weekend, did you find yourself staring at your TV thinking, “I’ve got to update that TV stand”? Rather than working in a console that does little for your design, make the TV unit the focal point of the room. 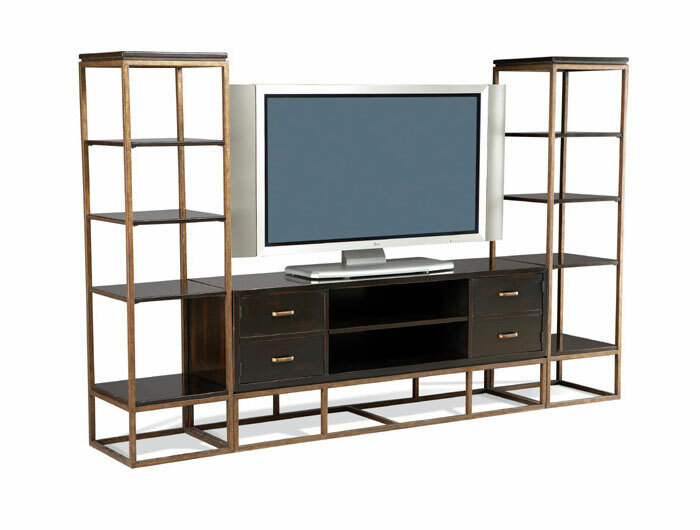 Check out this awe-inspiring wall unit; the low profile storage surface and sleek lines add interest while keeping all of your cords and unwanted TV boxes hidden. Worried about where you will store all of your movies, the kid’s video games and that dreadful subwoofer? Consider a decorative console that hides all of those unwanted items. Practical and attractive, what could be better? Maybe you are working with a large wall that looks empty with a dainty piece of furniture. For those who have more space to fill, modular furniture works great. 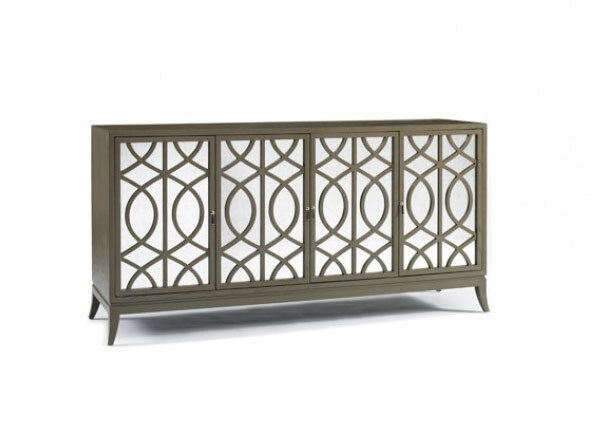 This three piece unit adds a uniqueness to your room and fills a larger space. It turns the standard TV unit into a beautiful display of your favorite accessories. Need help finding the perfect solution for your home? Contact Design Home Interiors and set up an appointment to have one of our designers score the perfect media unit for you to host the next big game. 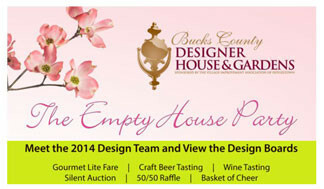 Meet the 2014 design team and view plans for the 39th Bucks County Designer House & Gardens. Explore Serendipity Farm before designers transform this expansive property. Enjoy gourmet lite fare while tasting wine and craft beers. Participate in the Silent Auction and Raffles. Register here and don't forget to stop and talk to our Senior Designer and exhibitor Mark Little!